Ryan has engineered sales teams for more than a decade in Silicon Valley and as the founder of SalesCollider, he frequently hosts events for founders, rising sales leaders as well as offers advisory and consulting services. He works with dozens of fast-moving software companies backed by venture capitalists such as Y-combinator, TrueVentures, 500 Startups, and A16Z. Ryan was an early adopter of SifData and has known Kyle Morris, our founder, for eight years. Ryan’s management experience includes building sales training for 400 reps at AdRoll where he also launched a $60M mid-market sales team. As VP of Sales at LeadGenius, Ryan grew enterprise sales 400 percent and helped raise Series B from top-tier investors. He sees SifData as a critical tool in optimizing sales efficiency. Kyle has wanted to bring Ryan on board for some time now. 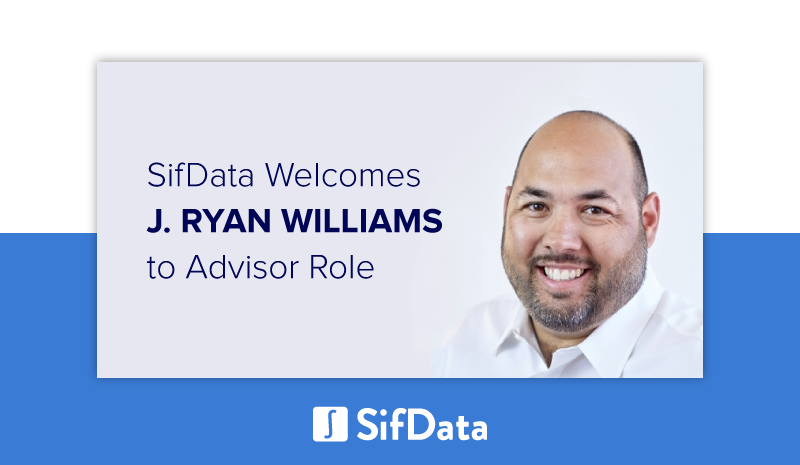 The entire SifData team is glad to have an experienced and devoted advisor like Ryan on board to help us prepare and make a big impact this year. SifData’s software helps companies track key contact’s job changes in Salesforce. Teams are notified when leads and contacts change roles which helps generate pipeline and reduce churn. Headquartered in Bend, Oregon, SifData is available for download on the Salesforce AppExchange. For more information, visit our website at https://sifdata.com.